Catch up with all the buzz in the world of crypto with BTC Wires. Here, we bring all the breaking stories, feature announcements, public statements and multinational plans of well-known industry investors. Liverpool FC Looking To Join Hands With Tron? Explore more about how and where Blockchain Technology is making headlines! Away from the cryptocurrency, BTC Wires has got something for you out of this world of fascinating fancies and ideas. Can Blockchain Networks Replace Legacy Systems? Is There Any Scope of Decentralized World Wide Web? How To Buy Bitcoin With PayPal? Why RBI Doesn’t Trust Cryptocurrencies in India? Do You Need To Pay Crypto Taxes in the UK? Let your queries be sorted out by some brilliant minds of Blockchain Ecosystem! BTC Wires has this syndicated interview column that has up-close and personal interviews of some of the game changers in the world of cryptocurrency. Know what they have in their sack for you. Will Blockchain Startups Win Extreme Tech Challenge? Navigating the crypto world is a daunting challenge owing to those confusing technical concepts, isn’t it? Lucky You! You are at BTC Wires. 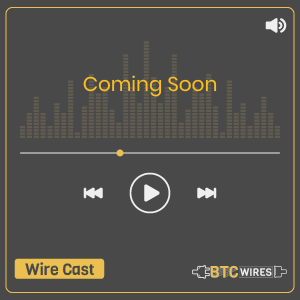 With an aim to keep you in touch with the current market trends of the crypto world, BTC Wires brings you the in-depth analysis of all the happenings so you can stand firm in this ecosystem. Breaking Down the ICO Crash- Are We At the Lowest Low? After a Reality Check in 2018, Will Cryptocurrencies See a Rise in 2019? How The Banking System Can Benefit From a Blockchain Ecosystem? Just to help you understand this ever-evolving world of Cryptocurrency and Blockchain Ecosystem, BTC Wires has the proper solutions for you with our set of evergreen articles. Ethereum: How to sell them? At BTC Wires, we love guiding passion-fuelled aspirants with the right amount of information so they can find effective ways to grow with the trend. Thus, we have come up with this Encyclopedia that covers all the aspects of Blockchain Ecosystems. How To Create Your First Bitcoin SV Wallet? How To Create Your First Ethereum Wallet? How To Create Your First Bitcoin Cash Wallet? How To Sell or Trade Dogecoin? At BTC Wires, we give you access to our exclusive collection of Press Releases which are periodically curated for the most influential ICOs in the market. Initial Coin Offerings or ICOs was perhaps the most novel innovation in how startups or businesses raise funds. ICOs allowed businesses to raise incredible sums of money through crowd sales leveraging a global network of investors. ICOs were so popular that in 2018 over 4000 ICO projects were launched and were collectively able to attract over $14 billion just through token sales. But this was during the ICO boom period, the current condition of ICOs is a far cry from this period. 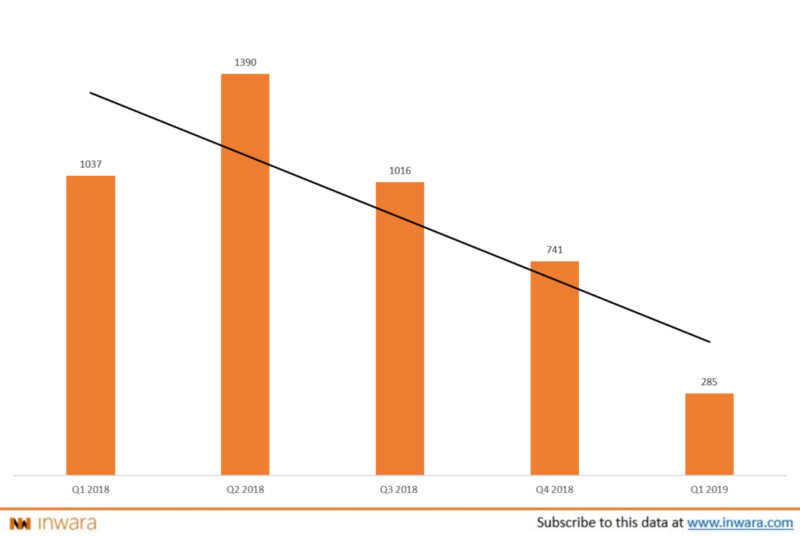 In Q1 2019, ICO number dropped by as much as 61% when compared to the previous quarter and the numbers don’t seem to picking up despite a favorable regulatory environment being present. The Downfall of ICOs: What Caused It? As mentioned earlier, ICOs were hugely popular around the world and especially popular among cash-starved entrepreneurs. But why? In retrospect, ICOs quickly gained popularity partly due to the lack of a clear regulatory framework. This meant it was easier to raise funds through an ICO than through traditional methods of fundraising like an IPO for example. Ironically, the reason for the upheaval of ICOs was also one of the inadvertent causes of its dramatic downfall. As many fraudulent players in the space took advantage of the lack of regulation to make a quick buck. Investors were duped by many ICO projects and it is estimated that at least $100 million was lost in ICO exit scams. Many investors who dived into crypto out of Fear Of Missing Out (FOMO) were left wary of the ICO space as the witnessed their investments wither away, whilst they couldn’t do anything about it. Therefore, investors were left stranded in the ICO space with a huge loss in investments. This prompted regulators to step in and take action. For example, the U.S Securities and Exchange Commission started cracking down on ICO projects and several dozens were ordained to shut down shop as they were served with ‘cease and desist’ orders. According to the SEC, most utility token offerings actually qualify as a security offering as it satisfies the Howey test. In essence, investors pledged top dollar expecting returns on their investment. This meant most ICO projects were in violation of federal financial securities laws as they haven’t registered with the SEC. With ever-increasing pressure from regulators to ensure compliance before launching an ICO, meant entrepreneurs just found it easier to raise funds from private investors instead. What’s Next: Will ICOs be Replaced? The number of ICOs have been steadily falling for the past three quarters and that’s not a good sign. On top of that, there is increasing pressure to ensure compliance with regulatory norms or risk getting shut down. In the midst of all this trouble, came the new kid on the block – Security Tokens. In essence, security tokens are similar to utility tokens but instead of offering investors access to the future product of the company, it offers ownership rights over the tangible assets of the company. In essence, security tokens are backed by real-world assets and a security token offering satisfies the Howey test. This meant that investors in security token offering projects are protected by the federal financial securities compliance laws. While the number of ICOs have dramatically depreciated over the past few quarters, the number of STOs, on the other hand, has increased by over 130%. A security token offerings could ensure enhanced compliance with regulatory norms while giving investors rights over the real world assets instead of a future product that doesn’t yet exist and this is revolutionary. 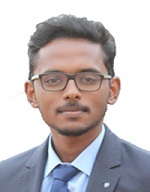 Content Lead at InWara, a leader in ICO, STO, Blockchain Co. and Crypto data. Will BitPanda List Tron Soon?